Originally hailing from Johnston County, North Carolina, Amanda has spent the past few years solidifying her status as a must-see performer in all areas of the state that built her into the woman she is today. Her roots can be seen through the lens of her family musical influence, which can be traced back to her grandmother, who led the 1st soprano section of the church choir. Eventually, once she was old enough to drive, Amanda was able to go off and sing as a part of many theatre and country variety shows in the area. Eventually, she put together a full band of her own and spent a number of years booking and managing the outfit herself as they traveled. 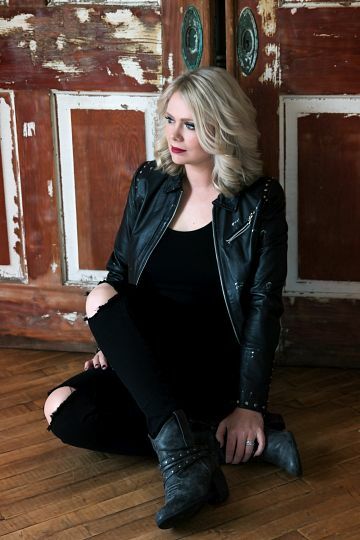 Amanda has built a solid reputation of performing a vast array of current and classic country music, classic rock, and mainstream pop alongside songs of her own that she shares with those who are willing to listen. Any given night, there's not a chance that someone walks out of the show without having a great time. 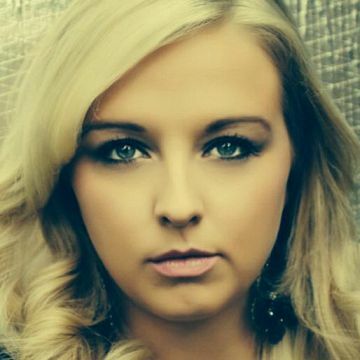 Amanda's success has been validated with opportunities to open for top country acts like Chris Young and Justin Moore. I'm finally in Nashville TN, and chasing my dream!!! Who knows if this will take me anywhere, but I'm sure there will be some good stories come out of it either way!!! So lets see what happens, and at least make some NOISE!!! 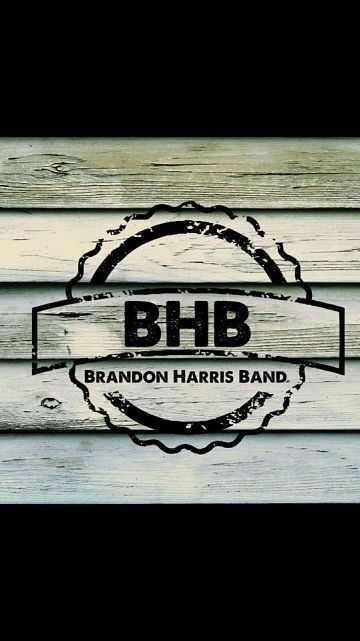 The work of Elvis, Johnny Cash, Willie Nelson, Larry Redmon, the Dave Matthews Band, and Hootie and the Blowfish have all made a major mark on who Brandon has become as an artist. Regardless of the instrument of choice and the song of the moment, Brandon is simply Keepin' It Country! Distinguishable voice. Characteristic soul. Identifiable lyrics. You don't just listen to his music...you feel it. Among other great achievements, Chris has had the opportunity to open for national acts such as Dave Matthews Band, Toubabe Krewe, Lifehouse, and Check in the Dark. 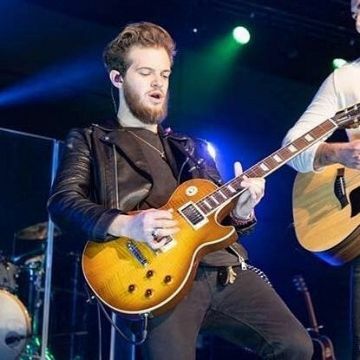 He recently released an EP titled "Another Way," that is available on iTunes, and is looking to release his first Nashville-based album in 2016. His songs and singing style reflects the music that surrounded him growing up. 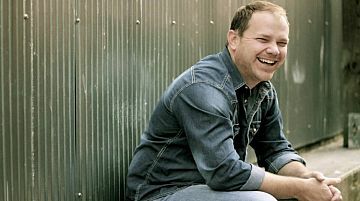 Merle Haggard, Johnny Cash, Hank Williams, Alan Jackson, Travis Tritt, and Reba influence him. But his music is also flavored by the eclectic rock music he listened to as a teenager: Lynyrd Skynyrd, Marshall Tucker, Pearl Jam, Tom Petty, CCR, Jimi Hendrix, Smashing Pumpkins, and the Foo Fighters, among others. 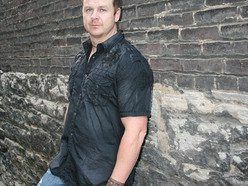 Mix in a dash of contemporary country, and you have a soulful, rocking style of traditional country music that is Chris Shrader’s sound alone.You can find Chris electrifying stages and earning his allowance song by song as he did when he was a boy. Chris Weaver was born to perform. 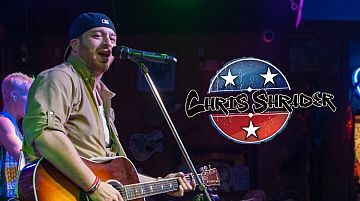 Mixing southern rock, soul, and country blues, Chris and his band are inspiring crowds all around the world on the heels of releasing their sophomore CD, American Dreamer. Attending a Chris Weaver performance is a spiritual experience you don’t want to miss! 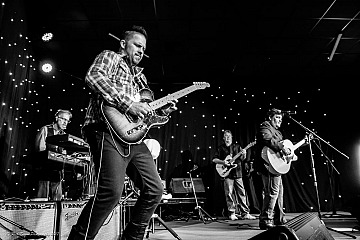 Dusty Hundley is an energetic live entertainer who fronts a highly talented five piece band. The show engages the crowd and gets them dancing, singing along and partying to the fun atmosphere Dusty creates. The big guitar and fiddle sound that is Nashville comes alive in his show which includes music from almost every genre taking you back through the years. It's loaded with the best classic rock, country, blues and pop. Dusty is known for his unpredictable impromptu medleys that captivate the crowd. This is an exceptionally entertaining show that must be experienced live! Harold Allen takes the life experiences that we all share, the events that touch our hearts and creates music that speaks directly to the soul in each of us. 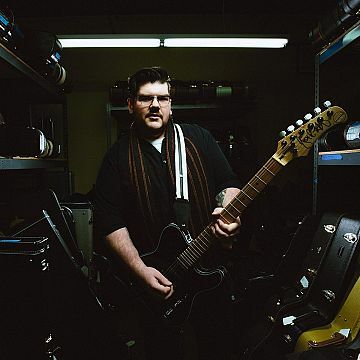 Whether in an intimate setting accompanied only by his guitar or onstage playing with his band the Bonfire Choir to thousands, he strives to connect with his audiences in a way that makes his music touch each of them. 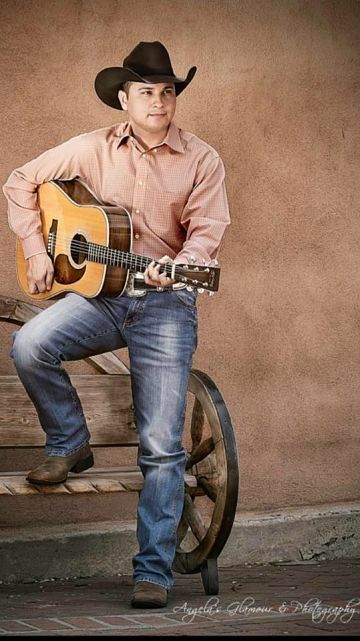 A cowboy through and through his life is steeped in the traditions of country, but Allen's music is stamped with his own unique style. 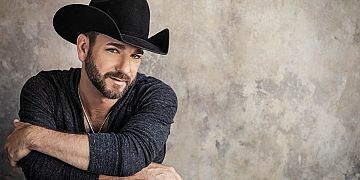 He honors the past, but refuses to live in it and that is why he continues to push the boundaries of country music forward, creating an exciting new blend that is as emotionally potent as it is commercially appealing. He began performing regularly on the World Famous Broadway in Nashville, which led to a recording contract with Canadian label, Red Boot Entertainment which led to a new CD, which led to a merger with Red Boot Canada and Bell Records Nashville and a new single “Lonesome Old Guitar” which is being released in the US and Canada on January 1, 2016. Keeping with tradition, John is now taking his show to venues in other states! 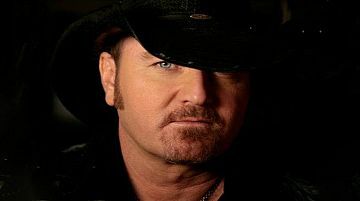 In a short time John has also become a prolific songwriter having penned over half of his CD “Outlaw Rising” he is co-writing with songwriters Gary Gentry; “The Ride” (David Allen Coe, Tim McGraw), “We Didn’t See A Thing” (Ray Charles & George Jones), “1959,” (John Anderson), "Who Cares" (Ray Charles & Janie Frickie), "The Very Best Of Me" and “The One I Loved Back Then (The Corvette Song)” (George Jones) and SESAC Award Winner, Shawn Byrnes and others. The Larry Williams Band features a horn section consisting of trumpet, trombone and saxophone. A rhythm section with piano, bass, guitar and drums, a female and male lead vocalists. All of the musicians are capable of singing lead. Our arrangements are professional and musicians are second to none. 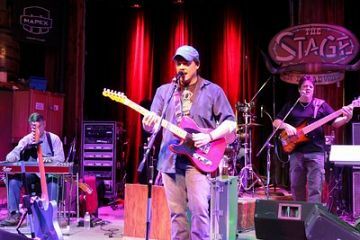 The Martin McDaniel Band is one of the hottest up and coming bands to hit Nashville and country music in quite some time. With McDaniel's soulful voice and fiery guitar playing leading the show, the bands tight vocals and stage presence lights up the room everywhere they go. Look for the Martin McDaniel Band in a town or city near you! The experience and practice of regularly performing on stage began to bring Marinchick high praise and recognition, which eventually grabbed the attention of Century Music Group label founder and music producer Art Ward. "Matt is the whole package; a talented singer, a strong songwriter, a skilled musician, an eager, hard working over-achiever, and a real go-getter. You can't go wrong with an artist like that," says Ward. Rickie Lee Tanner grew up in Belton in a town with strong musical roots, just south of Kansas City. His grandfather was a professional guitarist and shared his love of country music classics with Rickie from a very early age. 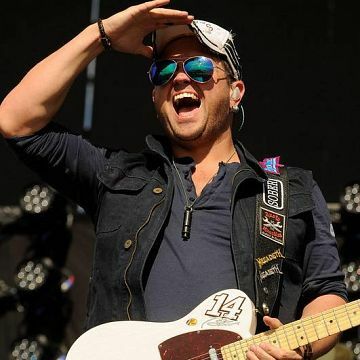 Rickie has been entertaining crowds of all sizes nearly his entire life, getting his start playing Opry shows in the Kansas City area when he was just a kid. In his late teens he began fronting bands that played in the smoke-filled bars, honky tonks and dance clubs all over the midwest. 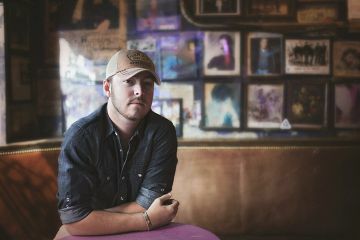 During his career Rickie has shared the stage with some of biggest names in country music. 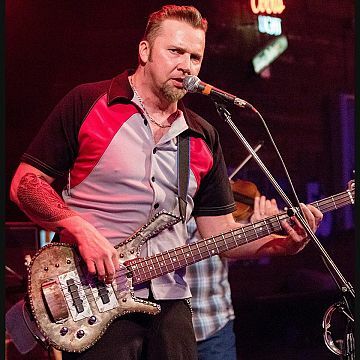 Rickie has brought his high-energy show to bars, clubs, fairs and festivals from Minnesota to Texas and nearly everywhere in between. Consistently logging over 150 shows per year. I just released my first 15 song album. If you can come catch a show, I guarantee a high energy show full of originals and your favorite covers to make you forget about everyday life. Angsten’s love for music began when he was just 10 years old. Alone in his room, Angsten would write and record music on a four track digital recorder for hours on end. By the time he was 13 he was rockin’ in bars with his father and younger brother in their family band American Pie. With music blaring through the smoky bar rooms, Angsten knew that music was his calling. While Kari and Billy have both experienced personal success in their music careers, they have decided to take the stage as a duo and have begun to weave their personal, unique talents together to create something truly special. Coming from opposite ends of the country, with very different backgrounds, the two met in Nashville and were drawn together not only by their similar taste and love for music but also their views on life. Their true love for music shines through and warms the hearts of listeners wherever they go. 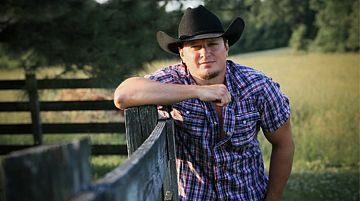 The son of a John Deere working man, Chad Street’s down-home musical roots run deep. From the time he was 7 and singing into his first microphone, Chad knew he was hooked. Whether it was in his momma’s living room or the back of his daddy’s pick-up truck, as long as there was at least one extra set of ears to listen, he would sing and play his heart out. Check out her Facebook Link for more info! 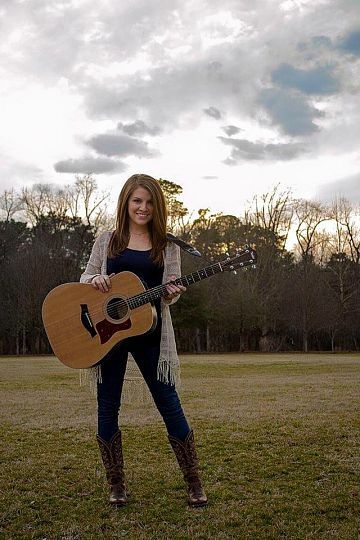 BECKI IS CURRENTLY TOURING AROUND THE SOUTHEAST WITH HER BAND AND PLAYING IN DOWNTOWN NASHVILLE. AS A SINGER/SONGWRITER, BECKI SPENDS HER TIME PURSUING HER ONE TRUE LOVE, MUSIC. 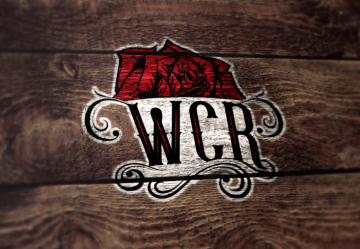 Nashville Based country and southern rock band mixing the best country from the 90's to today with classic southern rock. 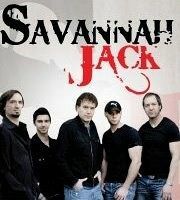 From traveling throughout the Caribbean as a featured, headline act on Royal Caribbean Cruise Line to opening arenas and large festival dates for Peter Frampton, John Fogerty, Vince Gill, The Doobie Brothers, Lady Antebellum and the legendary Kenny Rogers around the world, Savannah Jack has honed their skills as outstanding live entertainers who captivate audiences from the very first note. KC's passion for country music was prevalent at a very young age. At the age of 3, KC would climb on her mother's coffee table and sing "Achy Breaky Heart" to her family. At age 8, KC knew she was destined to share her talent through singing and songwriting, after her mother took her to see the Grand Ole Opry. Even today, her main goal is to sing a duet with George Strait at the Opry. KC's main musical influences are George Strait, Shania Twain, Patsy Cline and Loretta Lynn. Her favorite music is Country and Christian. A word typically reserved for "beyond what is usual," or ordinary, someone who is remarkable, exceptional in character and is rare… this is perhaps the most apt description of a small-town, Iowa turned Colorado girl done good, Sara Simmons. 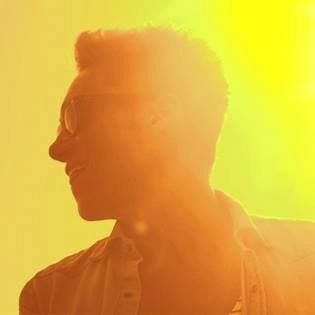 Garrett's first single, "Good Time" was released December 10, 2015, it became a success when it started to climb the Reverbnation Charts. 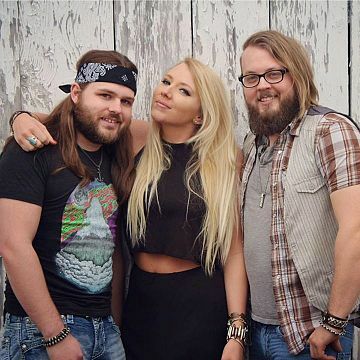 With thousands of digital downloads, "Good Time" charted in the top 40 country singles for 3 consecutive weeks and made some of spotify's new country playlists. With much anticipation, Garrett will be releasing his debut EP in April, 2017. Flying Buffaloes represents the essence and energy of the current musical climate in Nashville; the converging of the traditional country honky-tonk mentality with the new wave of gritty East Nashville rock & roll. Their sound is reminiscent of The Eagles, vocally, with Beatles-esque harmony and a swampy, Rolling Stones-meets-CCR rhythm section. Country influences like Waylon Jennings. Willie Nelson, and Chris Stapleton really shine through in Flying Buffaloes songwriting, instrumentation, and lyrics. Rob is an all-inclusive musician, meaning he plays, he sings, and he writes. He remembers hearing The Beatles for the first time and being in awe that “these seemingly normal people had ‘made up’ these amazing songs.” Naturally, he wanted to take a stab at songwriting too – and boy did it work! After moving to Nashville at the age of 24, not only did Rob use music and songwriting as a means to make ends meet, but also as an outlet for emotions. Some of his best songwriting has occurred during heartbreak, which makes that heartbreak worthwhile. Haeley Vaughn is on her way to becoming Country-Pop’s next darling with a genuine optimism and enthusiasm for singing that cannot be deterred. Her passion for music was cultivated in Tucson, Arizona- in the bathtub at just three years old. She spent her childhood belting out tunes to anyone who would listen and explored every possible outlet of performance. From singing in school and church choirs, to gymnastics and cheerleading, it was clear that Haeley was born for the spotlight. Picking up the guitar at 13, this spunky gal taught herself simple melodies and learned to play along to some of her favorite songs by the Dixie Chicks and The Judd’s – country music her mother introduced at a young age and inevitably turned into a household favorite. After meeting at Berklee College of Music, The Outliers continued their own individual music projects before coming together in the winter of 2016 and establishing their own combined group. Each member brings their own musical experiences to the table and creates a unique listening experience. 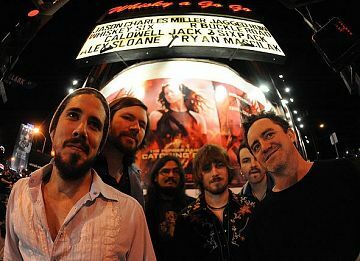 Since their arrival on Lower Broadway, the band has built a reputation as one of the most energetic, in-demand bands on the strip. Be sure to check out the band during one of their many shows. for CCMA Roots Artist of the year. 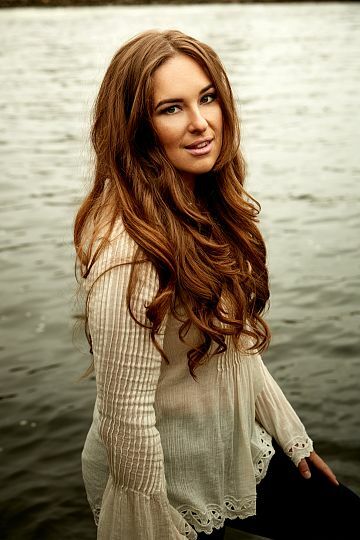 Hali Hicks is already a well-known veteran resident and recording artist in Nashville. Toting a Martin guitar, Hali is always at the ready to sing a song. She’s been singing since she was a toddler and started playing her guitar when she was 13. With many influences throughout her young but seasoned life, she could tell you about some all-time favorite performers of hers – such as LeAnn Rimes and Dolly Parton. Being in Nashville brings a unique exposure and because there’s so much live music there she doesn't have much reason to listen to her iPod. However, she does have Lynyrd Skynyrd and Rebecca Lynn Howard in her iTunes lineup. When thinking about influences, what comes to her lips immediately is the indelible influence that her family has had on her life. Tender reverence is revealed as she speaks of the support and assistance she has received from her daddy, her mama, her grandmother (‘nanny’) and the rest of her family. Her musical exploration of other artists began with an interesting mixture of styles. Her first cassette was given to her as a gift from her daddy - the LeAnn Rimes Blue album. She also recalls receiving The Essential Dolly Parton album later on. The first concert she attended was Carmen, a gospel concert. Her favorite band is Lynyrd Skynyrd (and thanks to her daddy, she can play some Skynyrd!) These early introductions are frequently evident in the tone and timbre of her vocal expressions. 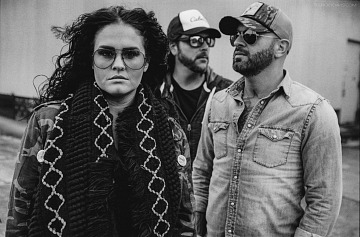 Flying Buffaloes, as a band, represents the essence and energy of the current musical climate in Nashville; the converging sounds of the traditional country honky-tonk mentality with the new wave of gritty East Nashville rock & roll. 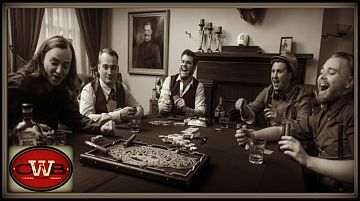 With lead vocals supplied by Jordan Harazin, Barry Stone, and Johan Stone, their sound is reminiscent of The Eagles, with Beatles-esque harmony and a swampy, Rolling Stones-meets-CCR rhythm section. Classic and Outlaw Country influences like Waylon Jennings. Willie Nelson, and Chris Stapleton radiate through in Flying Buffaloes performances. Smiles are often exchanged, mid-song, between band members as they ebb and flow through a dynamic range of songs. 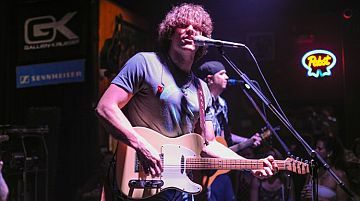 Lead guitarist Tommy Leland and drummer Danny Pratt add, “When it comes down to it, our show is all about having fun and connecting both as a band and with the audience. We just really like being out on the town together and hanging.” You can hear their debut EP, Taking Off, on Spotify and purchase it on iTunes. Find Flying Buffaloes at Legends Corner and on tour this winter with more exciting music to come in 2018. Kinsey Rose is a singer/songwriter from Nashville, TN, whose powerful vocals and poignant lyrics have won over audiences around the world. 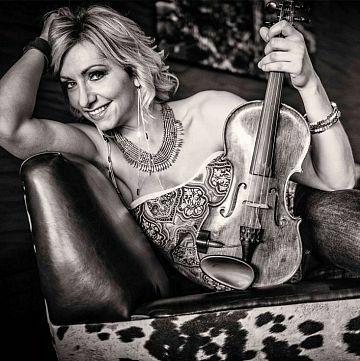 She is an artist in residence at some of Music City's most iconic venues, notably the famous Legend's Corner on Broadway, and she can also be found performing regularly at the Bridgestone Arena during the NHL Predators games. Kinsey's music has taken her around the world on US and European tours. She recently performed at one of country music's biggest festivals in France, the Festival Country Rendez Vous, and toured extensively in the UK, Scotland, Denmark, France, and Norway. In the US, she has played from Alaska to California, Texas, Pennsylvania, and everywhere in between. Among her recent appearances are performances opening for Mark Chestnutt in Napa Valley and Colt Ford in North Carolina. 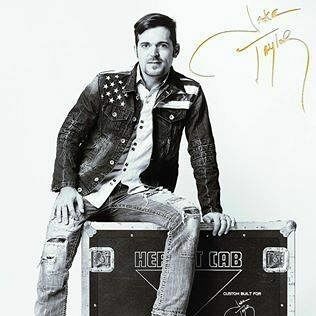 Kinsey recently released an album entitled “Fair Weather Love” featuring country music icon Vince Gill and produced by Justin Schipper. This summer, you can find Kinsey performing at three festivals in Norway and one in the UK, as well as other concerts across the US and Europe. For more details, check the tour dates on this site. Every great artist has a story; one of determination and prowess that guides them on a trying journey to find fame and success. Kelcy Hyde’s story started when she was a young girl with a passion for music, undeniable talent and a one-track mind to follow her dreams. Today, Kelcy’s determination to share her gift has shattered expectations as she works to overcome all odds . Growing up in Nevada, attending high school was considered a mere stepping-stone for Kelcy, who was not your ordinary teenager. Instead of finding her perfect dress for prom or going to parties, Kelcy spent her nights and weekends at home cultivating her talent and devoting endless hours to studying country music. At 16 years old, Kelcy fulfilled a promise to her parents and received her high school diploma, two years earlier than her peers. In return, her family relocated to Nashville in full support of Kelcy and her resilient pursuit to become a country artist. 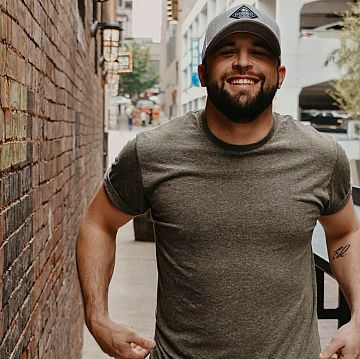 Developing a singing and songwriting career has always been a number one priority for Kelcy, whose opportunities quickly began to evolve once in Music City. In only a few years, the ambitious young artist grew her resume to include performances at renowned music venues and experiences playing on tour with established country artists. 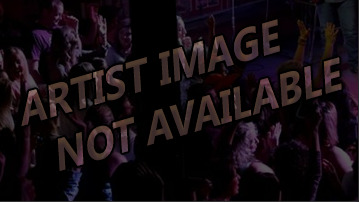 Recently, Kelcy performed on the historic stages of 12th & Porter, The Listening Room Cafe and The Bluebird Cafe. She additionally shared a stage with Trace Adkins, Gretchen Wilson, Big & Rich, Cowboy Troy and The Farm during their nationwide tours. Kelcy dropped her first EP titled “Your Heart Amazes Me” with an electric performance and release party in Nashville. 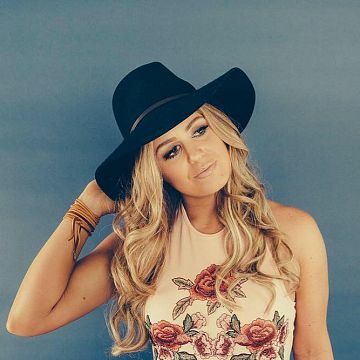 The album contains five Country Rock songs including: the title track “Your Heart Amazes Me,” “Boots Off,” her debut single “All You Need,” “War and World Away,” and “What Happened in Vegas.” The album has seen rave reviews and Kelcy plans to drop her next single “Alive in Your Love,” later this year! Dubbed the "epitome of the real deal," Jackson Delaney's music is soaked in the sounds of the founding fathers of Outlaw Country—the foundation laid before him by Waylon, Cash and Haggard. Jackson's self-titled debut album was released April 9, 2013. 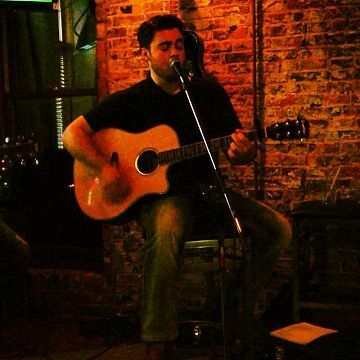 Tim Bridges is a singer/songwriter/entertainer born and raised in Rome Georgia. 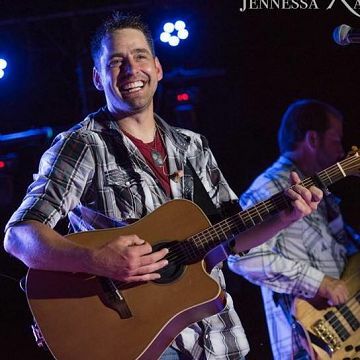 Tim is a true lover of traditional country music: Vern Gosdin, Dwight Yoakam, John Conlee ect…..
Tim is also a huge fan of Chris Isaak and Elvis Presley! At the age of two Tim began to show an interest in singing and traditional country music singing George Jones around the house. 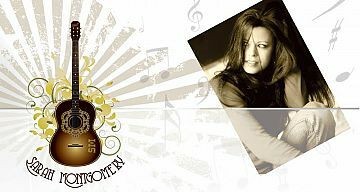 Holland Marie is one of the most talented female vocalist you will ever hear!! She rocks the stage everytime she performs. She loves Country music, however Southern Rock with a touch of blues seems to be her calling...playing everything from Patsy Cline to Bruno Mars and Garth Brooks to Journey Hollands stage show never has a dull moment.Holland Marie can hold her own against any band in the area and once you've seen a show, you're sure to be an instant fan. 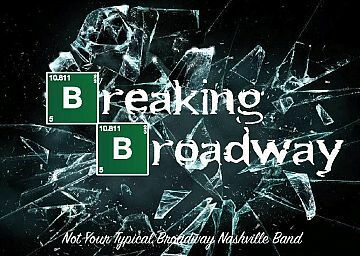 One of Nashville's premiere high energy party bands!! Doing all the hits from the 50's 60's 70's 80's 90's and today!! 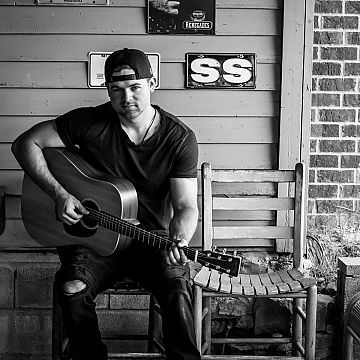 After graduating from college and performing around the valley for years, in 2010 Cory set out to pursue a full-time music career in Nashville, TN. 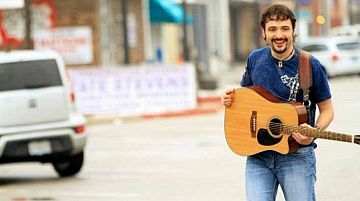 He now has his own band and has since opened up for artists such as the Legendary Marty Stuart. In early 2013, Farley signed a deal with an entertainment company and is now invading stages nationwide. 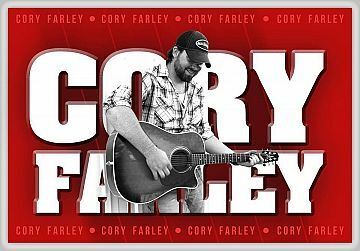 With his signature voice, drive, and unforgettably wild shows, Cory Farley is one musician to keep an eye on as his name ascends to stardom. This is undoubtedly not the last you have heard from him. 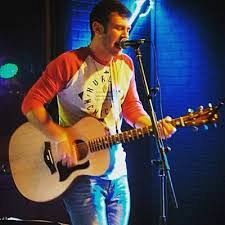 A new rising star on the Nashville scene and native of Atlanta, Georgia, Drake Freeman is an accomplished singer, songwriter, and musician with his debut EP released in October 2015. 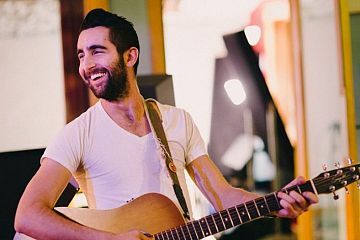 As a versatile performer, Drake plays piano, electric and acoustic guitar, bass, mandolin, and was classically trained on the viola. 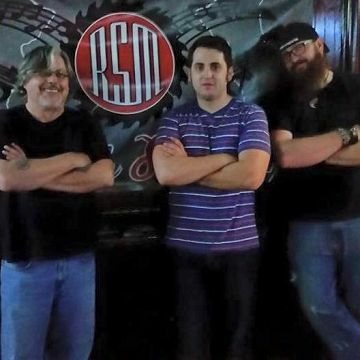 He sticks to his roots of the South and fuses his love of Rock N' Roll to create a Southern Rock experience similar to that of The Black Crowes, Lynyrnd Skynyrd, and Blackberry Smoke. The Matthew Davidson made his debut over 7 years ago and has not slowed down since! Matthew has performed over 400 shows at venues all across the south. Some of Matthew's most notable performances include: The New Orleans Jazz Fest, Dallas House of Blues, Hard Rock Cafe Dallas and Memphis, and the James Burton International Guitar Festival. 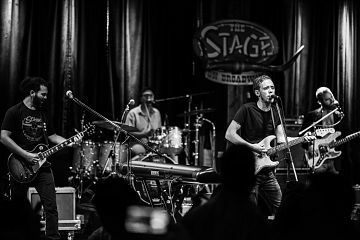 Matthew has had the honor of sharing the stage on two separate occasions with internationally acclaimed blues/rock guitarist Kenny Wayne Shepherd. Matthew has also had the privilege of opening for nationally known acts Austin Mahone, Rachel Platten, and Fifth Harmony. 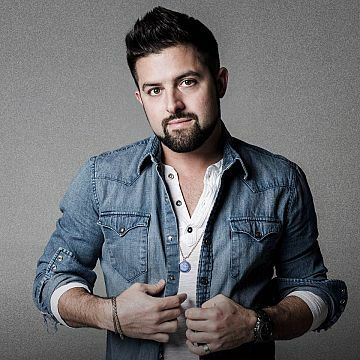 Andrew has been named Entertainer of the Year, Male Vocalist of the Year, and Songwriter of the year with TCGMA and continues to write his own music when he is not performing. 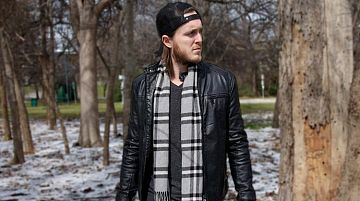 His song “Last Call” was featured on multiple radio stations, and he is looking forward to releasing more music in the future. 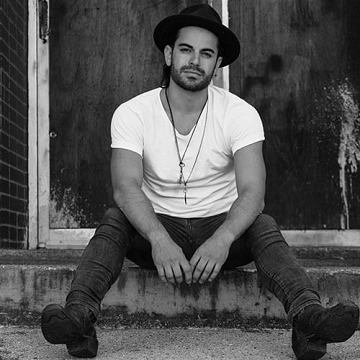 Andrew and his band have performed and been featured with artist such as Sam Hunt, Thomas Rhett, and Corey Smith. They are beyond excited to hit the road full time this summer, and hope to see you out there for an #AVBParty in your town! 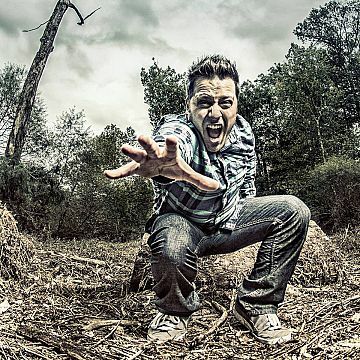 Originally from Pittsburgh, PA, Veltri’s musical journey begins shortly after he moved to Charlotte, NC in 1998. He’s been playing guitar since age 12, writing songs since age 16 and playing live regularly since age 18. He graduated from UNC-Greensboro back in 2011 with a degree in Media Studies, which proved useful in his side career as a professional wrestling announcer. In August 2015, Veltri released his first full-length album, A Million Miles to Go. Mostly autobiographical, the entirely acoustic album is a surprisingly eclectic mix in musical styles while still maintaining a pointed and direct lyrical approach. His influences include (but aren’t limited to) Billy Joel, Bob Segar, Goo Goo Dolls, John Mayer, John Mellencamp and Weezer. 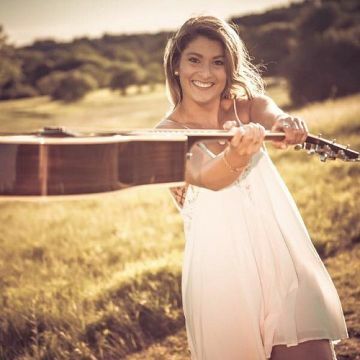 Taryn Papa is an energetic country singer-songwriter- performer originally from Connecticut. Her love of music began when she was introduced to piano by her grandfather, which led to teaching herself acoustic guitar. Taryn began booking her tours and managing herself at 16, bringing her over a decade of professional experience. Performing over 270 shows per year, you can find her downtown on Nashville’s famed Broadway and touring around the country. 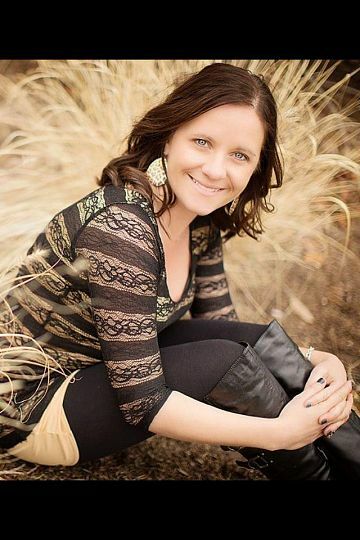 Mindy Ellis Campbell is a native of Loveland, Colorado. She moved to Nashville, TN to attend Belmont University and to pursue her music. She got her start singing campfire songs on her family’s ranch just West of Loveland called Ellis Ranch. She is married to country singer Craig Campbell and together they have 2 girls, Preslee and Kinni Rose. Starting at 8 years old playing fiddle in a bluegrass band I was steeped deeply in gospel roots style as well as my classical Violin training. I will never forget what I was able to bring to those nursing homes we played every Sunday and what a powerful gift the gift of music was to those people. I ventured from Violin to Saxophone to Bass and eventually guitar, harmonica and a little bit of percussion. I started writing at around 15 years old mostly influenced by Love aka my high school crushes. I finally got serious about music around the age of 27 when I moved to Los Angeles and gigged around town for several months. That wet my palat and after a short stint back in KY I found myself in Nashville trying to break into the scene. And the rest has yet to be written.. The Olson Bros Band burst onto the country music scene in 2013 when the won the Battle of the Bands at Capital Lake Fair in Olympia and also won a national songwriting contest for their hit song "Sunrise" in the Texaco Country Showdown where they won $5000, a trip to Nashville to consult with a publishing company, and got introduced at The Grand Ol' Opry. The band originated in Olympia, WA and is lead by singer/songwriters Luke and Isaac Olson. They are known for their tight brotherly harmonies and the fun energetic vibe they bring to their live show! 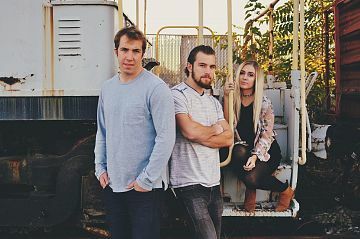 They are currently playing shows all over the Northwest and Nashville, and are in the midst of a heavy 2018 tour schedule up in the Northwest where they play at country music festivals, weddings, concerts in the park, and Wineries. 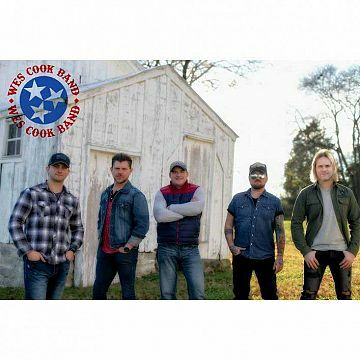 They have had the opportunity to open for some big time acts recently including Craig Morgan, Justin Moore, Sammy Kershaw, High Valley, Adam Craig and the list goes on! The Bros have also recently been enjoying a little time on the radio waves throughout Washington for their new single "If I Find You” (which has garnered over 700,000 streams on Spotify). Isaac and Luke love performing but also enjoy writing music and have spent some time writing songs down in Nashville, collaborating with some big name writers including Brandon Kinney (Who has written songs for Randy Houser, Craig Campbell, Cole Swindel and many other famous acts), Jodi Marr, and Canadian Country Star Johnny Reid. Their newest EP “A New High” released May 2018 and is available now on iTunes and Spotify! I'm Morgan Frazier. I love Country Music and I've been singing and writing songs ever sense I can remember. I grew up in small town Texas. About 3,000 people or so. We sang in my church. Being Church of Christ, we didn't use instruments - so I learned to harmonize. I grew up on Country music. Artists like Patsy Cline, Loretta Lynn, Hank Sr, Buck Owens, Johnny Cash, Hank Snow ... Folks like that. But I also listened to the music that my dad loved - AC/DC, CCR, Pink Floyd, Led Zeppelin. A pretty wide spread of music I think. And maybe that's why to me a good song is ... well ... a good song! Ever since I was a little kid, I have loved music--particularly country music. I come from a long line of singers and musicians, so I guess it's only natural that I would have a real passion for it. I love the styles of country legends such as George Jones, Johnny Cash, and George Strait. I also really enjoy modern music, and some of my favorites are Thomas Rhett, Jason Aldean and Luke Bryan. I currently spend my time writing and pursuing my dream of becoming a traditional country artist. I am a member of BMI in Nashville, and I have been blessed to write with some of the best writers in the business. 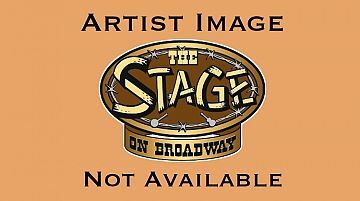 I play regularly at venues around the Nashville area. You can find my first official music video, "Young and Dumb," on YouTube and Vimeo. I plan to release my debut EP this year. I appreciate the support I get from my family, friends and fans. It means a lot. I hope to see you soon! Watch the site for news on upcoming events! Powerful, witty, and sultry, Jess Justice is reinventing pop country with the grit of a seasoned road dog and the sparkle of a young star. 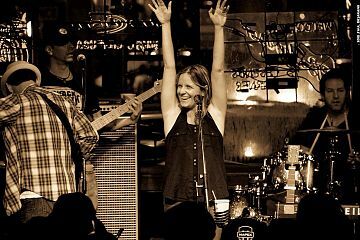 Born in Hollywood, Florida and raised in Buffalo, New York, Jes began writing music at the age of 14, citing the Temptations, Patsy Cline, Reba McEntyre and Janis Joplin as childhood muses. 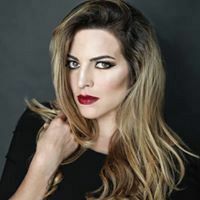 She began singing in At 18 Jes moved to NYC and began to perform in the bar and club scene at such historical venues as the Bitter End and Rockwood Music Hall. 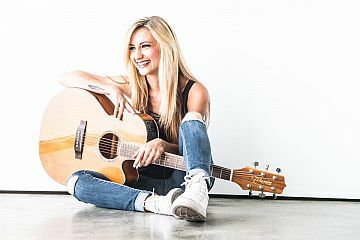 In 2009 Jes released her first album, Mirrors, as Jessica Labus, and has since been a featured and background vocalist touring with the Zak Smith Band while steadily touring solo on the east coast. After 9 years in New York City, the lifestyle began to take its toll. The songstress took a break from the night life to regain her sense of self and made the move to Boston where she quickly formed a new band and making a name for herself on the local scene. After two years in New England, she booked a national tour from Boston to LA, ultimately hoping to move to LA. This tour included a flat tire in rural Alabama, needing new brakes in Houston , TX and getting an emergency root canal in Arkanas. While passing through on tour Jes fell in love with Nashville and by the following year she moved there permanently. I grew up in Kennesaw, GA and spent most of my life pursuing my passion for baseball. Baseball lead to Birmingham, AL via Samford University and it is here where the real story begins. I have always been musical (I get it from my mother), but it always took a backseat to baseball. When my baseball career ended I came back to country music permanently. The very first show i ever played was in the back of a pickup truck in a field lighted by Christmas lights, shop lights, and a bonfire. It was a huge success, and launched me into the Birmingham music scene along with the help of some great friends and Birmingham music veterans. My shows have taken me all over Alabama and became even larger after I began mixing in original music. Growing up listening to the country greats from Georgia like Travis Tritt and Alan Jackson as well as the new Georgia country surge from people like Jason Aldean, Luke Bryan, Zac Brown, and Florida Georgia Line gives me a unique sound that reflects the new rock country sound while still showing the classic down home honesty that is country music. Hailing from Sharon, MA, a small suburb of Boston, Ferrara’s life actually began on stage when his mother went into labor while performing in the Sunday choir. It was as if the joyful noise was calling to him, and he needed to be a part of it. Since that day, his voice has been begging to be heard. By age three, he was performing in talent shows and even had The Star Spangled Banner completely memorized, which would come in handy when he recently performed at New Era Field in Buffalo and Gillette Stadium in Foxboro. As he grew up, his voice would earn him spots in theater companies and performance troupes, touring around the New England region, including being selected to sing at Symphony Hall in Boston and Carnegie Hall in New York City. In high school, he was in all of the choirs and held leading roles in multiple musicals, but he was also a multi-sport athlete. Aaron Patrick is a 24 year old pianist and country artist from Nashville, TN. He’s an alumni of the Berklee College of Music in Boston, MA. Aaron puts on a high energy show filled with his blues/soul take on modern country hits, and throw-backs that everyone can sing along to.